In Salesforce Chatter Group represent a group of users. It’s a great way to boost collaboration in your organization. 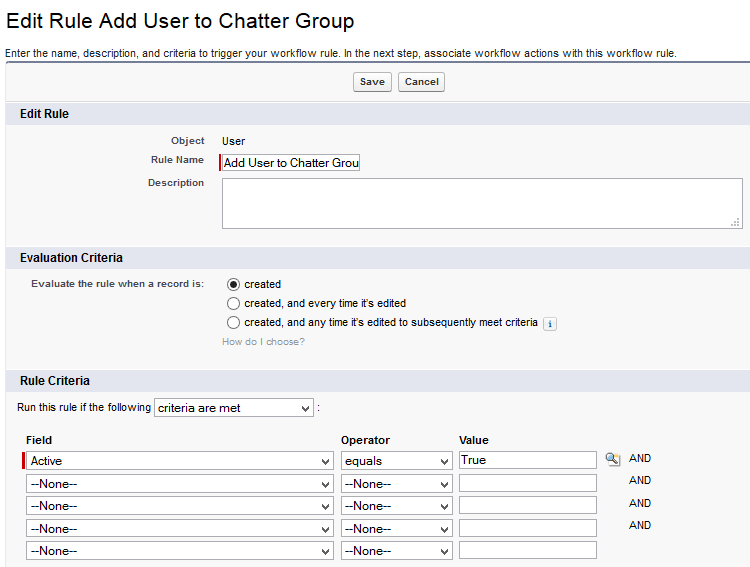 You can add unlimited members in a Chatter Group, but a user can join maximum of 100 Groups. 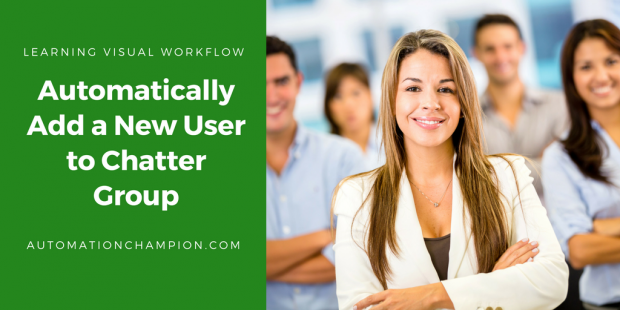 When you create a new user next task is to add a user to the important Chatter Group and that is a manual process or you have to use Apex code. What about people who don’t know the code, don’t worry we will automate this process without writing a single line of code. Higher management at Universal Containers wants to develop an application so that whenever a system administrator creates a new user it will automatically add to Chatter Group (UC Internal Announcement). I think this is a good use case to start with Headless Flow. 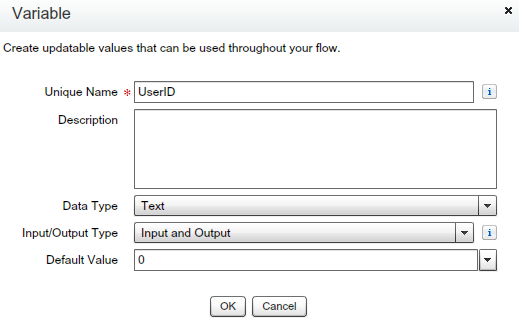 To solve this requirement we will use Visual Workflow, Workflow rule to fire Flow Trigger. 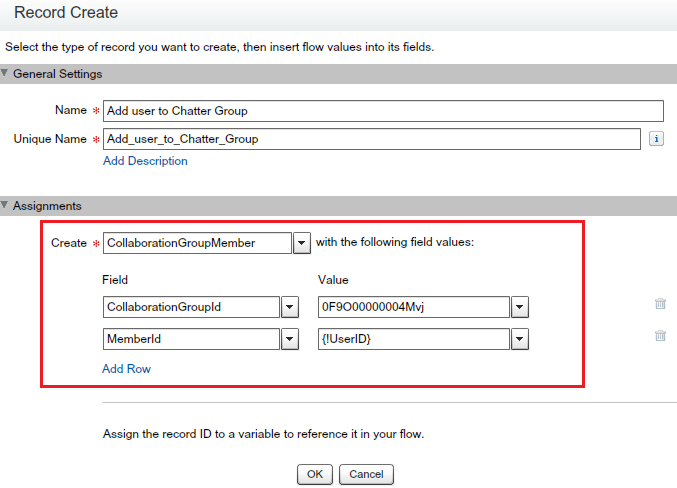 Before proceeding you have to understand CollaborationGroupMember objects in Salesforce. 1. CollaborationGroupMember: – This object represents a member of a Chatter group. CollaborationGroupId represent Id of Chatter Group and MemberId represent ID of the user(group member). Before proceeding ahead create a Chatter Group (UC Internal Announcement) and copy ID of the group. 1. Create a Custom field Start (Data Type: – Check-box) on the User object. We will use this field in Workflow Rule. 6. 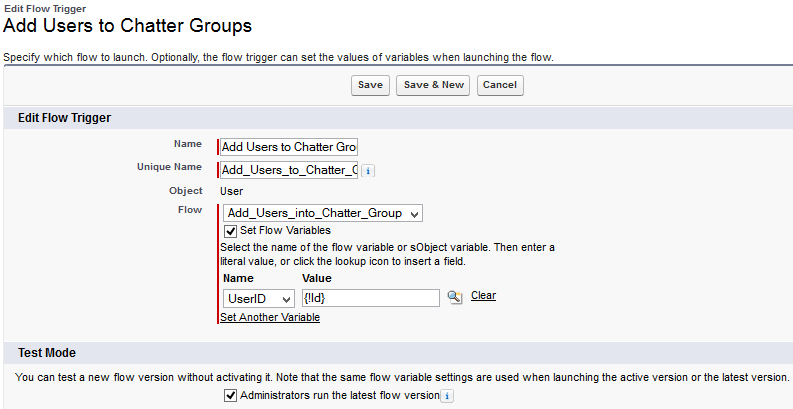 Save the flow with name (Add user to Chatter Group) and close the canvas. 8) Add one Immediate Workflow Actions i.e. New Field Update and Set Start to False, so it won’t create an issue next time when you will try to update the user. In immediate workflow action. I don’t see Flow trigger option. Sorry i am new to flow. May be i am asking silly question. I got it. It’s pilot feature. I will contact salesforce. The record couldn’t be saved because it failed to trigger a flow. A flow trigger failed to execute the flow with version ID 301290000004RIe. Contact your administrator for help. For some reason the process won’t start because of the Flow. Any ideas? Could you post a few screenshots please?